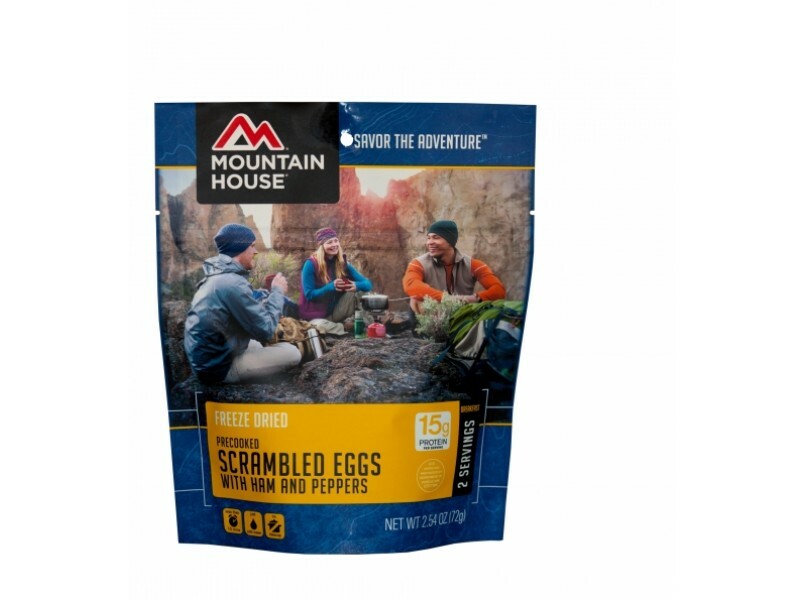 Mountain House has put together these great scrambled eggs with ham using high quality ingredients. They then freeze dried them, and packaged them using the highest quality materials possible. This helps allow the food to last for over ten years on the shelf without risk of going bad. With that in mind, you can stock up on this excellent meal, and store it away so you’re prepared for any type of emergency. 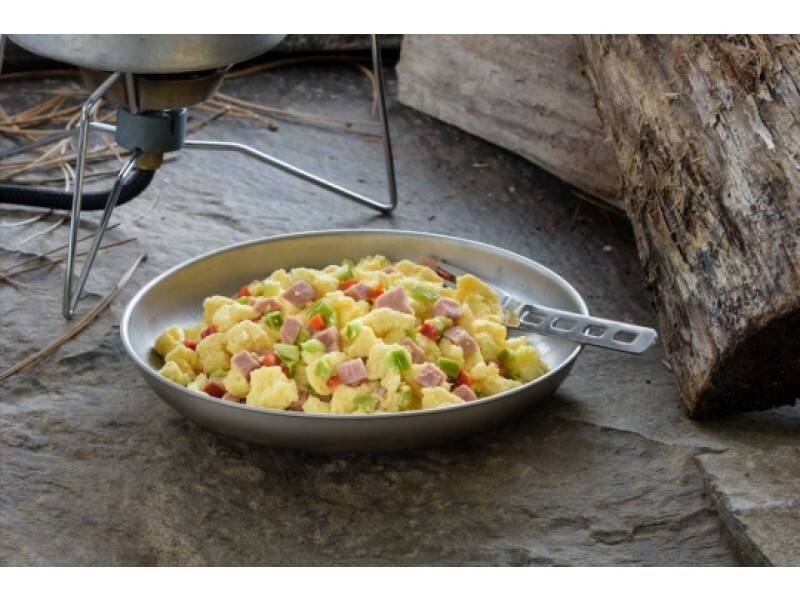 Most people purchase these scrambled eggs with ham to add to their existing stockpile of food. Adding this in provides some great variety to what are all too often redundant meal plans. Having the option to eat something special like this for breakfast will help keep everyone’s spirits up, no matter what is happening around them. In addition to being convenient and long lasting, these scrambled eggs with ham are also very healthy. 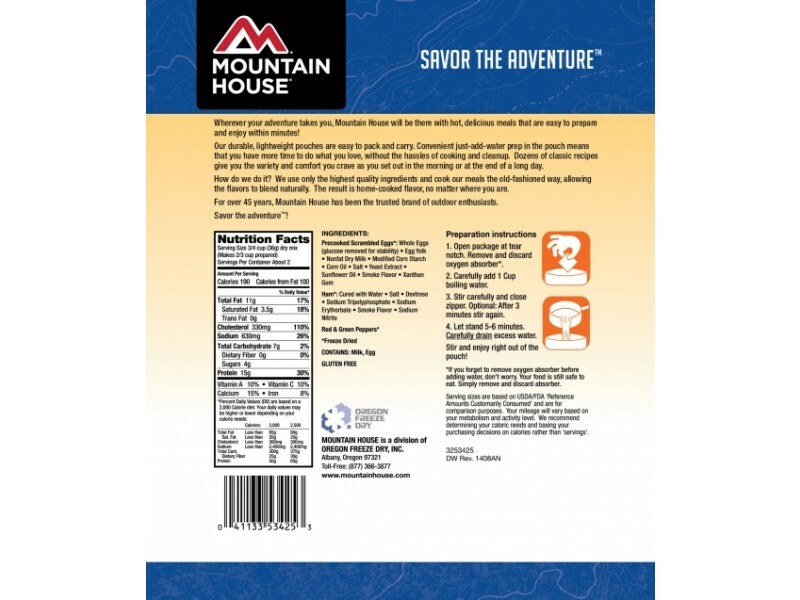 Each serving provides you with 16 grams of protein and a variety of other essential nutrients. This is critical when facing difficult circumstances, so buy this great breakfast meal today so you’re prepared for whatever tomorrow brings. 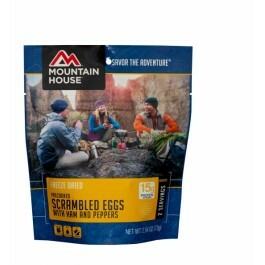 INGREDIENTS: Freeze-Dried Precooked Scrambled Eggs: (whole eggs, egg yolks, nonfat dry milk, modified corn starch, corn oil, salt, yeast extract, sunflower oil and smoke flavor, xanthan gum). Freeze Dried Ham: (ham, salt, dextrose, sodium tripolyphosphate, sodium erythorbate, smoke flavor, sodium nitrite), Freeze Dried Red and Green Bell Peppers. CONTAINS: Egg, Milk. Precooked scrambled eggs with ham, and green and red peppers. One pouch contains 2 3/4 cup servings.